KUALA LUMPUR (Nov 8): Former finance minister Tun Daim Zainuddin (pictured) said today that capital controls may not work for Malaysia now as market conditions have changed, compared with the 1997-1998 Asian financial crisis. Today, Daim said Malaysia might have successfully used capital controls to manage the 1997-1998 Asian financial crisis; however, he does not believe the same policy will work today. “My advice to the government is no (to implementing capital controls now),” Daim, who is also chairman of the country's Council of Eminent Persons, said. Daim, who was speaking at the Affin Hwang Capital Conference Series 2018 here, said the government should minismise its interference in the economy and allow for a free market. 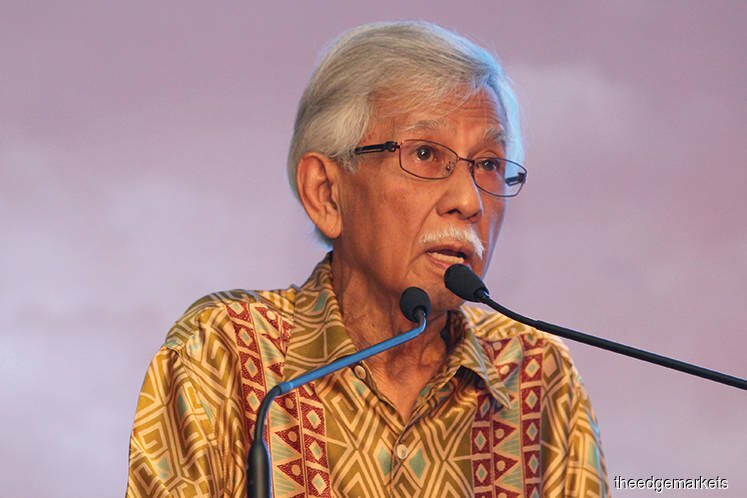 Separately, Daim said national oil firm Petroliam Nasional Bhd (Petronas) can afford the RM30 billion special dividend to the government as announced in Budget 2019.